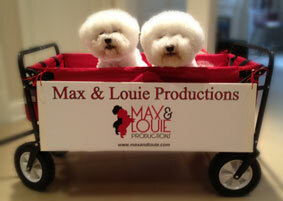 Out of 135 productions reviewed in 2012 Ladue News, reviewer Mark Bretz ranked Max & Louie’s Production #3 out of the Best 10! “The Violet Hour (Max & Louie Productions). On April Fools’ Day 1919, aspiring publisher John Pace Seavering faces a serious dilemma. With money enough to publish just one work, he must choose between “a grouping of pages” compiled by his college pal Denis McCleary or the memoirs of his clandestine mistress, famous black songstress Jessie Brewster. Complicating matters further, his assistant Gidger informs him that a mysterious machine delivered to their office is spewing out papers from books published in the future.